PA#7: 100 cm fresh snow, but where to go? A new, very active front is on its way to Austria. Friday starts with some sunny spells in the easternmost part of Austria, but it will start snowing again from the north soon. Storm depression Andre sends humid air from the north to the north side of Austria with the center of gravity between Kitzbühel in the west and the Dachstein region in the east the coming weekend. You can expect around 50-100 cm of fresh snow deep in the valleys with local peaks that go far over 100 cm between Friday and Sunday. 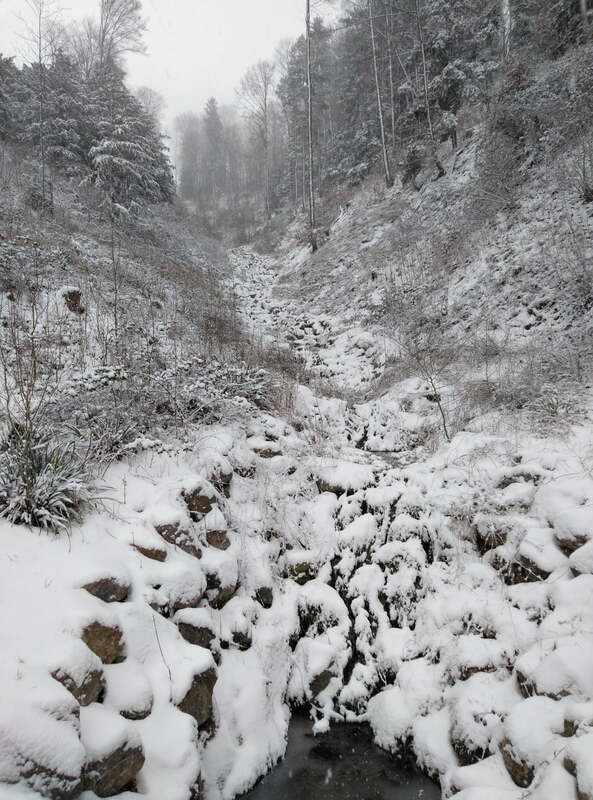 The snowfall is accompanied by strong winds and a short rise in temperature in the night from Friday to Saturday. The snowfall in the valleys can temporarily change to rain, but it will snow higher on the mountain. The temporary heating results in the supply of a lot of moisture, because warmer air can contain more moisture. This humid air is trapped between the main alpine ridge and a cold front approaching from the north on Saturday. Finally some snow for the northwest from Tuesday? 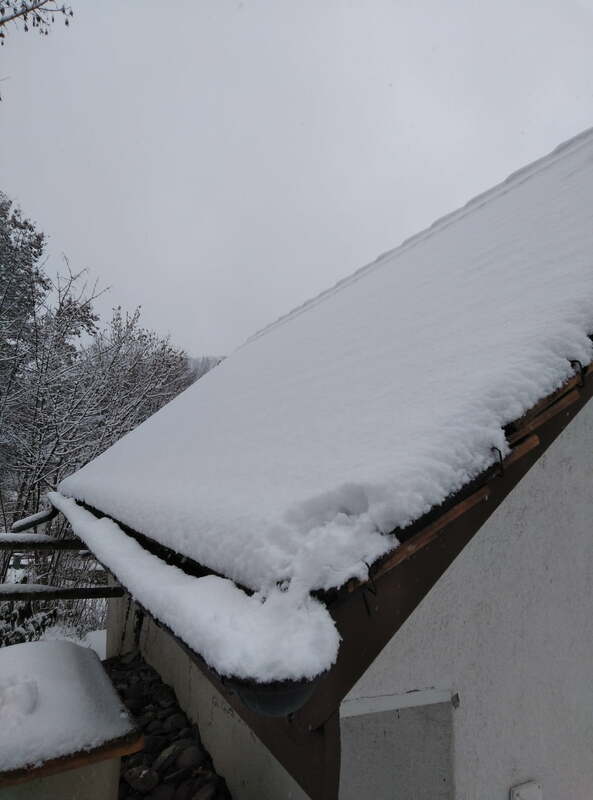 It has been snowing from the east of Switzerland to the far east of Austria since Saturday. On average 40-80 cm of fresh snow (locally more) already came down. Amazing images come in from many places in Austria and it looks like world champ Eva Walkner is having fun in her backyard. You do not want to miss this dump. And just imagine that there's another meter (or more) in the forecast. The first peak in the snowfall with very low temperatures will come in on Friday. Friday afternoon just might be the deepest day. The snow is really cold and very fluffy (there's a lot of air between the snowflakes). Up to 2 cm + of very airy snow is pressed out of 1 mm of water. Faceshot galore in the east of Tyrol, the Salzburgerland and the northwest of Styria, also because the wind is not that strong. Relatively speaking of course, because it is already strong on the peaks. 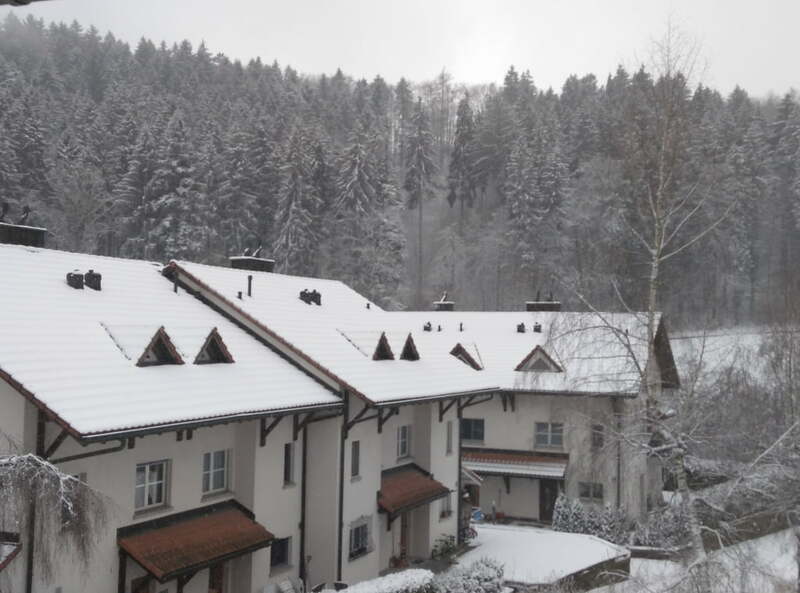 The most snow will come down between Kitzbühl and the Dachstein region on Friday. Warmer air flows into the Alps in the night to Saturday. It will rain or at least the snow that will come down will be wet in the lower valleys. There is even some heavier snow higher up on the mountain. The wind will also be strong. The increase in temperature, the wind and the relatively slightly heavier snow will have its influence on the avalanche danger! Saturday will be a challenge. Higher up on the mountain strong winds, lower on the mountain thaw for a while. It will snow from central Switzerland to the far east of Austria on Saturday. The snow line is the highest in the west. The center of gravity will be situated in the east of Tyrol, the Salzburgerland and the northwest of Styria again. There will be colder air coming in again on Sunday. The snow line drops, new snowfall pulls into the northern Alps. And again it will snow from central Switzerland to the far east of Austria. The snow line drops, the snow becomes lighter and the tree runs will be awesome. The situation is becoming critical. Very critical. The avalanche danger rises from central Switzerland to far eastern Austria. In the east of Tyrol, the Salzburgerland and the northwest of Styria I expect at least a HIGH danger level (4 on a scale of 5) and that might be even higher on Saturday. Please consider this before deciding to ride in the off-piste! The holidays are over on Monday. The sun comes out, the wind won't be that strong anymore, but the avalanche danger is still present. Fortunately, the powder panic will be less because many are back at work. Carefully study your local avalanche forecast and enjoy the super-dry powder and the sun. It's going to be beautiful. Magically even. In the above regions you will experience magical moments. Four computer runs now indicate snow for the northwest. Will the French northern Alps and west of Switzerland finally see fresh snow again? After the rain to a great altitude of Christmas, they are ready for it. The big models now point in that direction and thus also our weather model. More on that later this week. We close wePowder HQ for a week. Arjen and I will go on a powder chase for a week. Hard heavy work...This means that sometimes we react a little slower than you are used or that updates take a bit longer. Do not be afraid, I will continue to provide you with news, but sometimes with some delay. I'm trying to organize a trip to drive from Grenoble to near Innsbruck for the powder alert. I am planning to leave tonight (Friday) and drive through the night and stay till Monday evening, driving through the night till Tuesday morning. Is there anyone who would be interested in joining me on the road to share the costs and driving a bit? I'll be passing alot of big cities on the way: Chambery, Annecy, Geneva, Lausanne, Bern, Zurich, and St Gallen and am flexible to pick people up. Anyone interested? Hi David, I might join. Enjoy the snow Morris, you deserve it. Take care too! Morris just had the most amazing week in Saalbach your forecasts have been spot on. The powder was amazing never seen anything like it. Home, Switzerland, Zurich area, 500m high. This week ahead looks epic!